Not only are Jimmy Choo's heels elegant, they're flattering and comfortable, too - hence why they've been spotted on Emma Stone, Olivia Palermo and Sienna Miller at red carpet events. 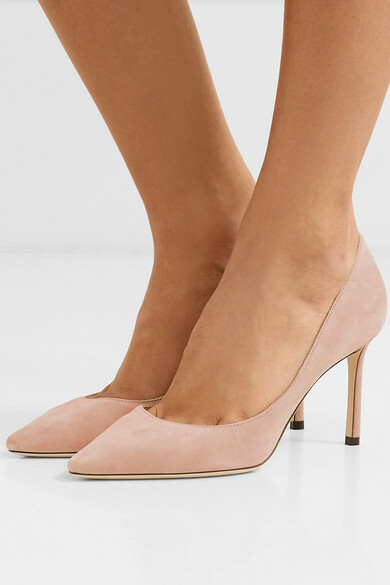 Crafted in Italy, these suede 'Romy' pumps have a classic pointed toe and slender stiletto heel. 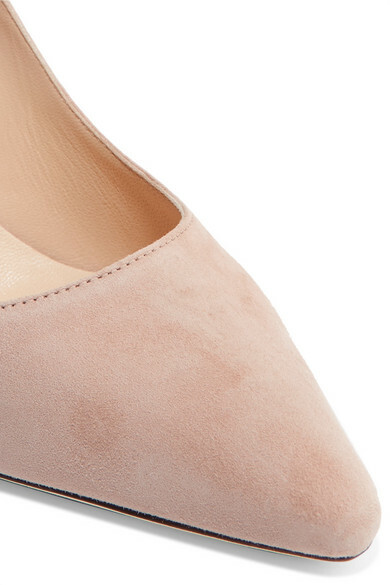 The antique-rose color goes with everything. Shown here with: Stella McCartney Dress, Gucci Shoulder bag, Dinosaur Designs Earrings.